Of Michael Fabiano’s debut as Lensky in Tchaikovsky’s Eugene Onegin at the Royal Opera, The Sunday Times in London wrote: “I can’t think of a Lensky at Covent Garden who has held the audience so spellbound in 40 years of Onegin-going… a glorious debut.” The recipient of the 2014 Beverly Sills Artist Award and the 2014 Richard Tucker Award, Mr. Fabiano is the first singer to win both awards in the same year, and is considered one of the greatest tenors in the world today. In the 2016⁄17 season, Mr. Fabiano will make his debuts at the Proms Concerts and with the Royal Danish Opera in the Verdi Requiem, will return to the San Francisco Symphony for a program of Italian masterworks, and will debut at Houston Grand Opera in the title role of Gounod’s Faust. He sings Jean in Massenet’s rarely performed Hérodiade with Washington Concert Opera, and returns to the Metropolitan Opera for performances as Rodolfo in La Bohème and Alfredo in La Traviata. Mr. Fabiano will be the guest soloist for the Metropolitan Opera National Council Grand Finals Concert, perform in the Met’s 50th Anniversary Gala at Lincoln Center, and sing his first Don José in Carmen at Festival Aix-en-Provence. Additional performances include a North American recital tour to seven cities. This season, he adds four new roles to his repertoire: Rodolfo in Luisa Miller, which he performed to open the San Francisco Opera season, Lenski in Eugene Onegin, which marked Mr.Fabiano’s Royal Opera debut, the title role in Don Carlo, at San Francisco Opera, and Jacopo in I due Foscari, in concert performances at the Teatro Real. He starred as Rodolfo in a new production of La Bohème at the Opernhaus Zurich and performed the Duke in a new production of Rigoletto at the Opéra National de Paris – Opéra Bastille. Mr. Fabiano will also be a guest artist on the Opera Gala at the Festival Napa Valley. 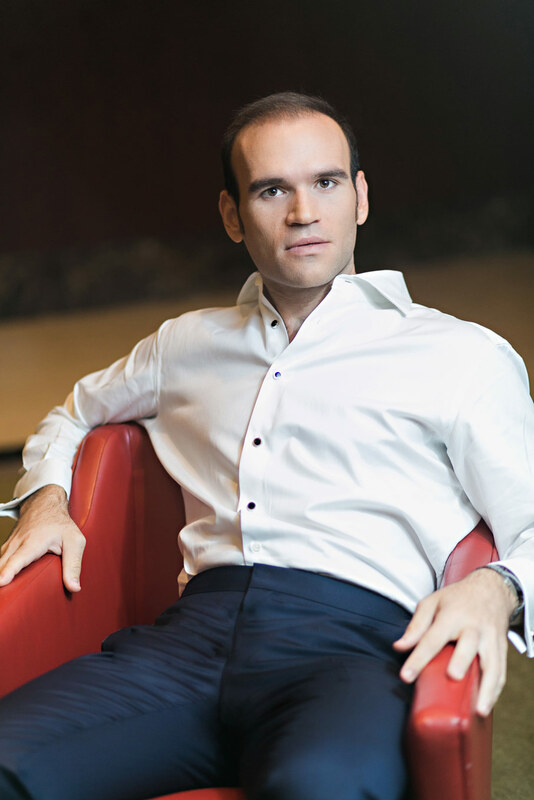 During the 2014⁄15 season, Mr. Fabiano returned to the San Francisco Opera and the Metropolitan Opera for performances as Rodolfo in La Bohème, and debuted at Opera Australia in the title role in a new production of Faust; a role he also sang to great acclaim at the Opéra National de Paris – Opéra Bastille, and the Dutch National Opera. He created a sensation at the Metropolitan Opera when he performed Edgardo in Lucia di Lammermoor, replacing an ailing colleague on seven hours’ notice, and opened the Glyndebourne Festival starring in the title role of Donizetti’s rarely-performed Poliuto in the first professionally staged production in the history of the United Kingdom. Mr. Fabiano sang Rodolfo in a special concert performance of La Bohème from Maschpark, Hannover, which was televised live throughout Germany over NDR.de, sang at the Richard Tucker Gala at Lincoln Center, and was featured in the Italian-Americans documentary, both of which aired on PBS. Additional performances include the Columbus Day Parade in New York City, and special Christmas Concerts with the Montreal Symphony under the direction of Kent Nagano. Mr. Fabiano has performed at many of the world’s leading opera houses; a list that includes: the Metropolitan Opera, San Francisco Opera, Teatro Real, Opéra National de Paris, Dutch National Opera, La Scala, Asociacíon Bilbaina de Amigos de la Ópera, Dresden Semperoper, Deutsche Oper Berlin, English National Opera, and the Teatro San Carlo. In addition, he has graced concert stages with some of the world’s most acclaimed orchestras such as the Cleveland Orchestra, San Francisco Symphony, Los Angeles Philharmonic, Philadelphia Orchestra, Oslo Philharmonic, and the Vienna Symphony. Mr. Fabiano can be heard on the “Prologue” to Shostakovich’s Orango, with the Los Angeles Philharmonic under the direction of Esa-Pekka Salonen on Deutsche Grammophon; on two recently-released DVDs: Alfredo in La Traviata from the Glyndebourne Festival on Opus Arte, and Cassio in Otello from the Metropolitan Opera on Decca, and Gennaro in Donizetti’s Lucrezia Borgia from the San Francisco Opera on EuroArts and Naxos of America. Mr. Fabiano is the recipient of Australia’s prestigious Helpmann Award in the “Best Male Performance in an Opera” category, for his portrayal of the title role in Gounod’s Faust with Opera Australia. He is a member of the Metropolitan Opera Guild Artists’ Council.